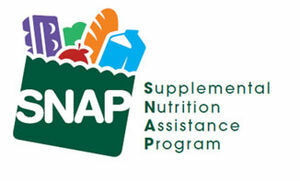 Food Stamps, if you can get them, will provide $31.50 a week. After that, it’s time to go find a line for the Food Bank. Can you live on $31.50 a week for food – indefinitely? Twice in the last month I have had experiences that made me wonder where justice might be found. One was this morning. I went to register voters at the Emeryville Community Action Program, where folks were taking numbers and lining up for a distribution of food from the Alameda County Community Food Bank. Everyone I talked with was already registered to vote, but I had some interesting conversations. The only person I saw there under the age of 60 was a charming young man who was setting up. I did not ask if he was a volunteer or a paid worker, but he was definitely working. Everyone else looked quite a bit older than me (57). I also noticed that every hand I shook was callused; these people had done some hard work in their day. Many were both elderly and disabled. There were also a fair number of Asian elderly ladies who did not speak English — but even if they had, I can’t picture them working at Starbucks. For the life of me, I can’t imagine what any of them would be doing without help from someone, nor can I imagine that there’s anything wrong with them getting help. But I’d rather see them at the grocery store with food stamps than standing in line on the street, waiting for the Food Bank handout. Old people should be treated with dignity, or so I was taught. That brings me to the second experience: at the Veteran’s Administration. I’ll blog that one tomorrow. Justice, justice you will pursue. Where is the justice? It sure isn’t standing out there on San Pablo Ave, waiting patiently for a little food.